Do you love buffalo sauce? 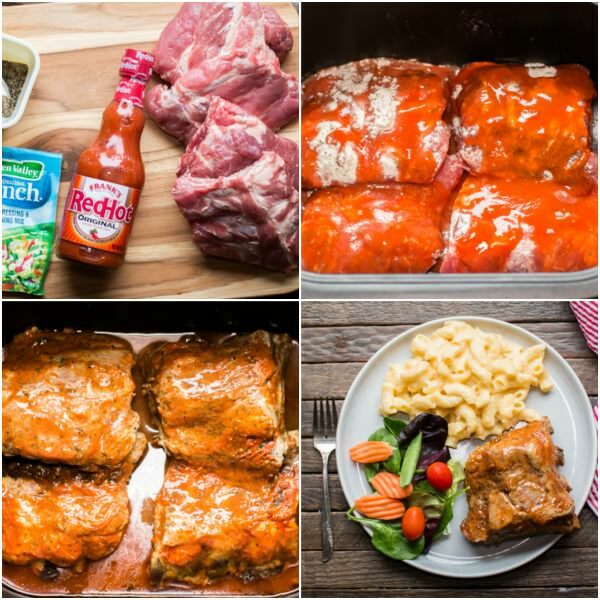 Then you will LOVE these Slow Cooker Buffalo Baby Back Ribs! 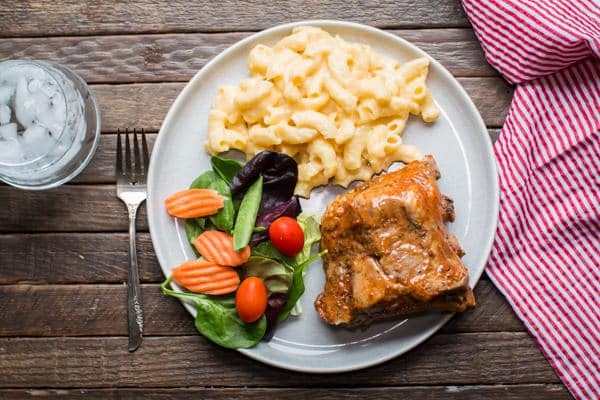 I lost count how many recipes I have on my site that have buffalo sauce in them. There is something so mouth-watering good about buffalo sauce. 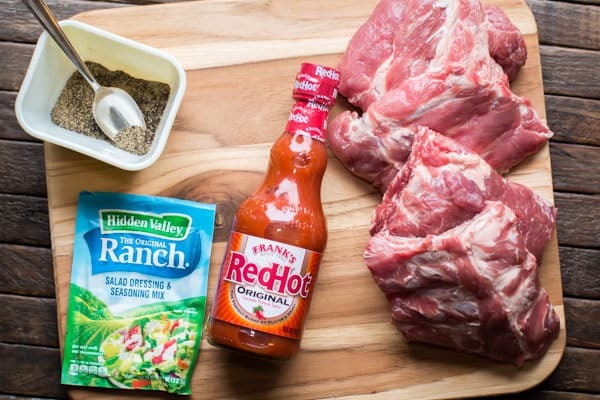 I flavor these ribs with ranch seasoning then douse them with the Frank’s Red Hot sauce. After 8 hours of cooking the ribs are juicy and tender. I use one rack of pork baby back ribs. Be sure to remove the sinew from the back of the ribs. Sinew is a piece of shiny membrane that is along the curved backside of the ribs. You can see how easy the sinew is to remove in this YouTube video I found here. 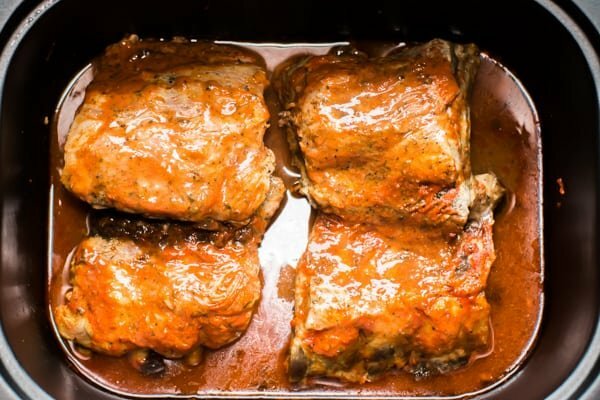 The fat that comes out of the ribs helps flavor the buffalo sauce and it helps mellow the heat from the buffalo sauce a bit. 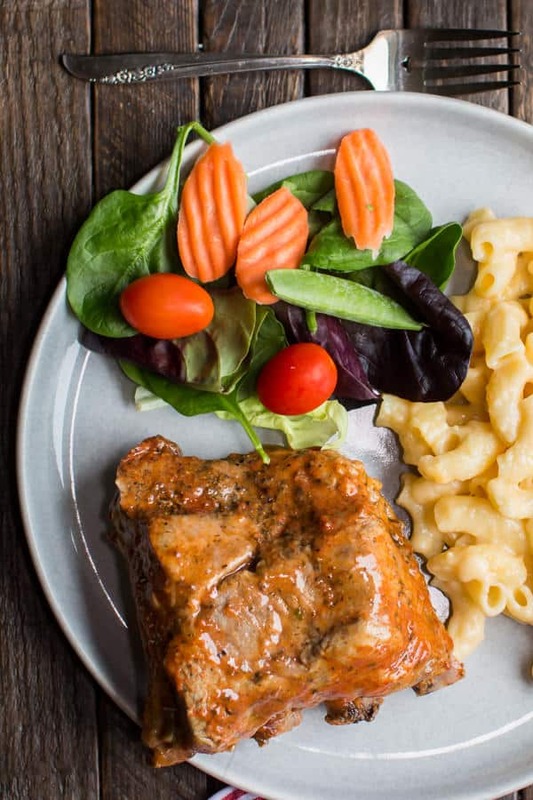 I serve this meal with homemade mac and cheese and a salad. This is my favorite type of meal! For the mac and cheese I use Barefoot Contessa’s recipe, but I leave off the breadcrumbs and tomatoes because my family isn’t having any of that, still a solid recipe for mac and cheese even without the toppings. 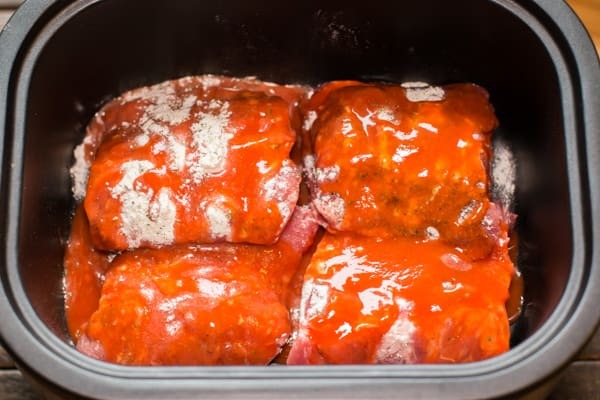 Here is my YouTube Video of the making of these Slow Cooker Buffalo Baby Back Ribs. You can follow me on YouTube here. I hope you have a great day! I will be back after the weekend with another great recipe. Remove the sinew from the back of the ribs. This is a shiny membrane, trust me you want to remove this, it is very easy to remove. See this video on YouTube if you are unsure how to remove the sinew. 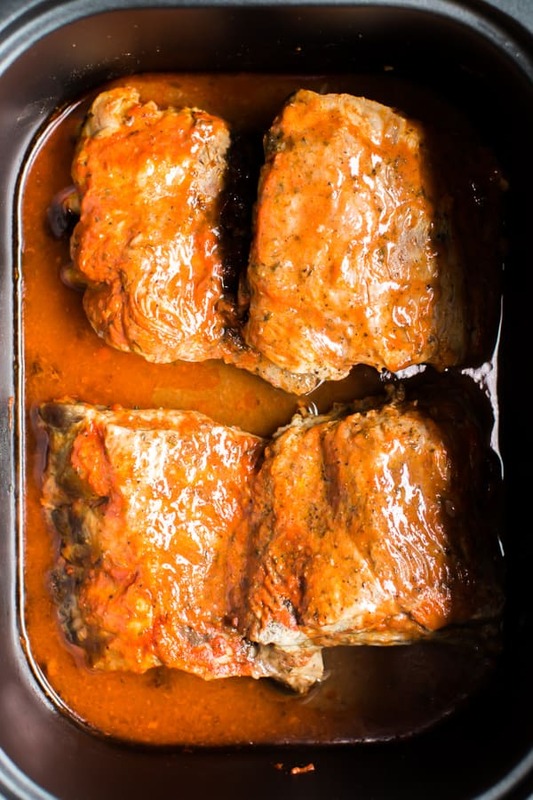 Cut the ribs into 4 even pieces and place into the slow cooker. Sprinkle with the pepper then the ranch mix. Pour over the buffalo sauce. Cover and cook on LOW for 8-9 hours without opening the lid during the cooking time. 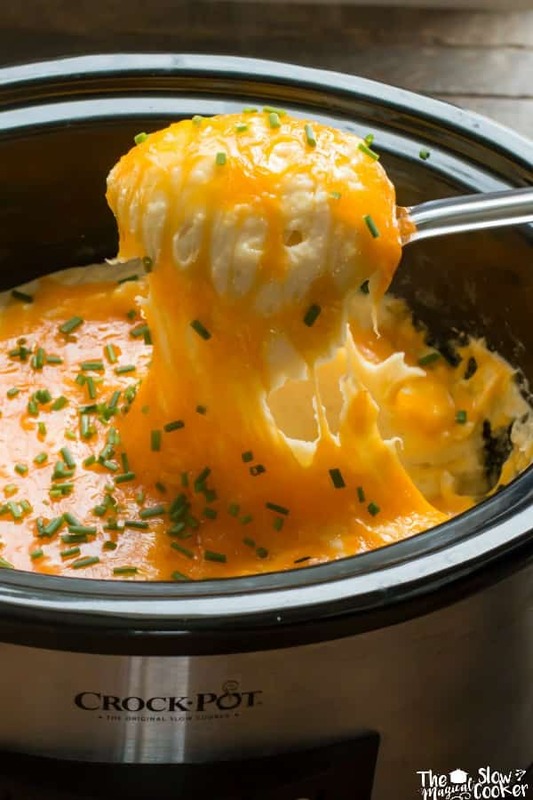 I used my 6-quart Crock-Pot® 5-in-1 Multi-Cooker for this recipe, though any 4-quart or larger slow cooker will work fine.